Hardwood Mulch Supplier – Thompson Hardwoods Inc. There are many advantages in choosing Thompson Hardwoods as your hardwood mulch supplier for your lawn and garden. 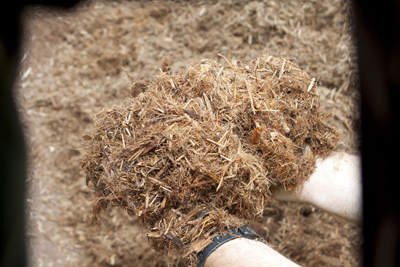 For one, hardwood mulch is very attractive and its high alkalinity benefits most all plants. And it can be obtained with ease from Thompson Hardwoods. And aside from being attractive, hardwood mulch suppresses weeds, and protects and insulates plants year-round. All the while withholding moisture to be used as a reserve when high temperatures parch the soil. Thompson offers bulk shipments via truck, and you have the option of ordering red oak, cypress, or mixed hardwood mulch bark. Remember, hardwood mulch should be turned at least once a year, and should be replaced every 2-3 years depending on the weather.